NEW - OEM. OEM Samsung product. 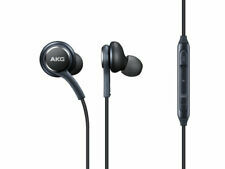 1x AKG headphones. 100% Genuine Headphones from Samsung. Enjoy crisp, rich, and balanced sounds across the entire audio spectrum. Undistorted Sound. Funda de auriculares de gran venta con resistente al agua para TWS originales similares i8 i9 i10 i11 tws. Bluetooth version: Bluetooth v5.0 EDR. Bluetooth distance: 10 m barrier. 2 x Bluetooth mini headphones (left and right headphones). Designed for Samsung Galaxy S8/S8 /S9/S9 smartphones. ⭐️⭐️⭐️⭐️⭐️. Type Bluetooth Headset. Bluetooth connection: long press main key for 5s and connect” V1” Bluetooth. Compatible with most Bluetooth enable devices, such as iPhone, Huawei, Samsung, and other smartphones, tablets. XT21 Double Unit Drive In Ear Bluetooth Earphone Bass Subwoofer Wireless Earphone Sport Headset Earbud auriculares. Bluetooth chip: ab5317b. Bluetooth version: 4.2 EDR. 1 Bluetooth Sport Headset. Type: Wireless Sports Headset. 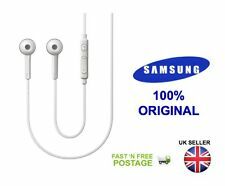 100% Genuine Samsung Lightning EarPods Handsfree with Remote & Mic. Designed by Samsung. Greater protection from sweat and water. Answer and end calls. Deeper, richer bass tones. Compatible also with other Samsung smartphones and tablets. Cord length ~ 1.2m. ( S3/S2/S/Note/Note2). Plug 3.5mm. 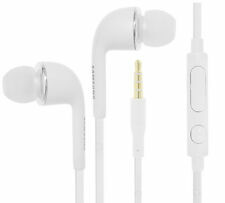 Samsung Wired Headset Earphone Buds Plus Spare Gels HS3303WE (GH59-13091A) as originally supplied with my Samsung Galaxy smartphone phone. New and unused. Such as: Galaxy S, Galaxy S2, Galaxy S3, Galaxy S4,Galaxy S5, Galaxy Note,Galaxy Note 2, Galaxy Note 3,Galaxy Ace, Galaxy Tab 2, Galaxy Tab 3. -Earphones work with any 3.5mm jack. 100% Genuine & Original Samsung Headphones. AURICOLARI STEREO BLUETOOTH 5.0 AIRPLUS TOUCH IPHONE SAMSUNG SMARTPHONE IOS ANDROID. Versione Bluetooth: Bluetooth V5.0. Auricolari Bluetooth wireless dotati di un suono super ad alta fedeltà. È compatibile con la maggior parte dei dispositivi Bluetooth. NEW PLANTRONICS EXPLORER 55 WIRELESS BLUETOOTH HEADSET I-PHONE SAMSUNG HUAWEI. The lightweight Plantronics Explorer 55 Bluetooth headset fits comfortably and connects to two smartphones so you can answer calls from either one. The Samsung personal handsfree headset will allow you to enjoy your calls safely with crystal clear defined sound. Keep your handsfree and talk in safety. Samsung Galaxy, Note and any other Samsung phones using the 3.5mm connector. 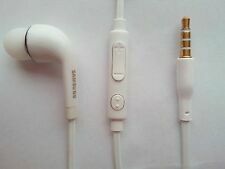 GENUINE SAMSUNG GALAXY S4 i9500 OFFICIAL HANDSFREE HEADSET HEADPHONES. This Original Samsung Handsfree with Mic features a high quality sound whilst still providing great comfort for you to enjoy your music playback.